Hope you are all having a fantastic weekend!! As I mentioned in my last post, the first week of 2015 brought a lot of exciting news, including the launch of my collaboration with Ann Taylor for their Resort 2015 campaign. Just before the winter holidays, I was contacted by their PR team and asked if I would like to participate in bringing the Ann Taylor resort collection to life. Initially I was asked to model their clothing, which eventually led to me painting some travel inspired fashion illustrations, and the results you can see above and below. Naturally, I can't help but be inspired to book my next #TravelWriteDraw adventure!! Super cool! 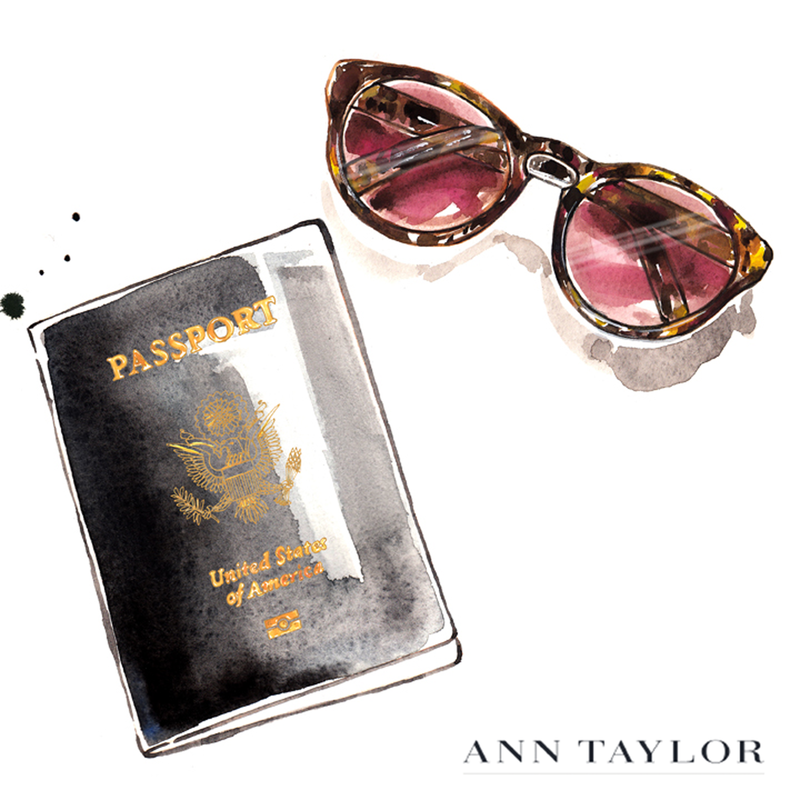 I love Ann Taylor and can't wait to see their resort collection! Wow! Big congratulations! So cute! Love the sunglasses! So lovely! The Ann Taylor team must be thrilled. What lovely drawings! I particularly like the suitcase although I wish when I packed everything fitted in that neatly! Interestingly, the journey to Antarctica is a great experience rarely people travel there because it need not cost very much at all but there are also other and different scenery. Apartmani Beograd Apartmani Beograd is also a wonderful place to visit. Those sunglasses are so beautiful. I just discovered your work - I love your brush strokes and use of colour - very striking!